If your paint has some chips then you have likely seen ads for touch-up paint systems that claim they blend with your paint perfectly. 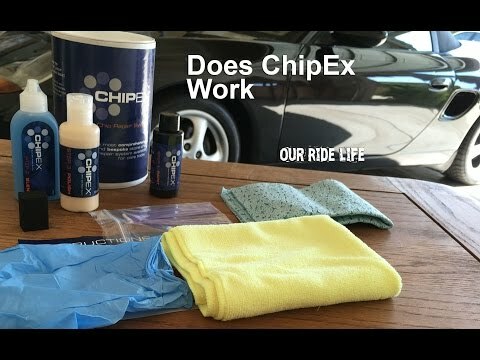 One such system is made by ChipEx. The difference between the system and traditional touch up paint is the three step system. The kit provides you with special paint made to match your paint color, a blend liquid and polish. It also comes with latex gloves, a blending cloth, foam block and a micro-fiber towel. Cars like the early Porsche Boxster (986) and 911 (996) are now extremely affordable. In fact you can get an early Boxster for as low as $5,000. However, even though you can pay a small amount of cash for the German sports car, parts are not as cheap as other cars (simply stating the obvious). One area that can cost quite a bit is the tires. If you go for something like the Michelin Pilot Sport PS2 or Pirelli PZero Rosso expect to pay about $1,200 for a set of four. But what do you do when you didn’t pay very much for the car and want a good ultra high performance tire that won’t break the bank? The folks at Für Stil are bringing back CocoMats. The floor mats where originally available on European cars starting in the 1950’s. Because of this they are a perfect addition to a classic car such as a Porsche, BMW or Mercedes. Having said this they also work well on modern cars and we reviewed them on our 1999 Porsche Boxster. While not the latest and greatest, it isn’t quite a classic and has a more modern look and feel to it. If you have a convertible sports car with a plastic window then over time it will become yellow and eventually crack from exposure to the elements. 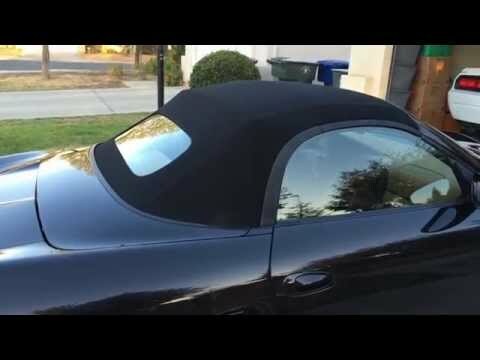 This was the case with the top on our 1999 Porsche Boxster (986). The fix for the problem is to either sew in a new plastic window or to install a new top. We went for the option of a new top and while we were at it we went for a top with a glass window. Part of the thinking for this is that to have a new plastic window sewn into the top was quoted to us between $250 and $500 for parts and labor. For just a bit more a glass top can be purchased and if you do the install yourself you can have a top with a window that will look good for much longer without paying the cost of labor. Who doesn’t love the Ford Mustang? And who doesn’t love the idea of 526HP and 0-60 in fast (official specs haven’t yet been released)? Well, Ford has thought of everything with their newest Shelby Mustang GT350. The car is beautiful with the new body and better aerodynamics, but it’s not just a nice car because of its looks. When you push the ignition button (I sure do miss the turn of a key) the engine roars to life and proves it’s not just a cute little pony like my first mustang from the 90’s. This last week I was able to drool over the car and drive the GT350R on the track at Laguna Seca Speedway. Everything is new on the GT350 (except the steering column) and that includes the independent rear suspension. I was so thankful Ford switched out the live axle when my hotlap included the infamous Corkscrew. There was no sliding around on the track. Turns were smooth. The wheels kept traction and I didn’t have any near death experiences.